Pinay WAHM: Is Wii Safe??? Nintendo's Wii is probably one of the fastest and most popular games today. I personally have not played it but I have read a lot about it. Last week as I was watching our local news, they featured a young girl who is an avid Wii player. She had some kind of a wrist problem that stemmed from her playing the Wii games. In that news segment her doctor said that the number of Wii related injuries are climbing by the day. 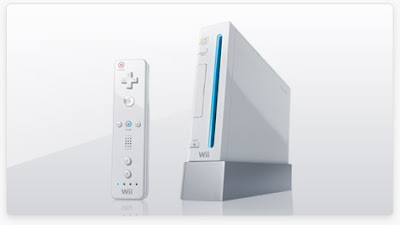 There is even a website called: Wii Have a Problem! Yep, it features the different injuries that are Wii related. Not long after this report, some doctors are said to be using the Wii games as therapy for their patients. Huh??? So now I'm not sure if this new craze is good or not. I am thinking of getting one because it seems to be a good way to pass time while sweating it out and having fun. What do you think? Is it worth it to get this game?